With over 16 years of expertise in the IT Industry, we have carved out a niche for ourselves to become an enterprise class solutions provider. With our stringent quality control measures, best practices and excellent crew, we bring to you the BEST solutions at nominal rates. Carmatec’s portfolio of services is in line with the changing trends in the industry and, encompasses the latest technologies and best of talent. We started providing Rails Development and developer hosting support through RailsCarma in 2006 when it was still in its nascent stage. We have a strong workforce trained in RoR, with experience working on live RoR development projects and hosting platforms. We also provide web design and development services through ColorCuboid . The increased popularity of Carmatec’s brand Carmatec Qatar culminated in its association with Ministry of Transport & Communication in Qatar in the year 2017. This helped establish Carmatec, Qatar as a government trusted organization for empowering their SMEs with wide-ranged Digital Transformation services with the ultimate goal of digitally empowering Qatar as a nation. With the goal to expand its presence in the USA market and become more accessible to its US-based audience, Carmatec started Carmatec Incorporation, its USA based subsidiary in the year 2016 which marks an increased penetration in the US market for Carmatec. 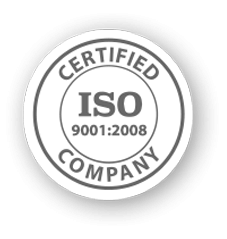 With over a decade of consistently matching the industry benchmark of quality, Carmatec proved its quality-focus and industry prowess by achieving ISO Certification in the year 2015. 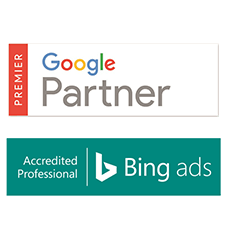 This endowed the organization with the trust of renowned organizations and the largest industry-leading organizations in the International markets. With the growing demand in Qatar market and a stronger foot-hold in this market, Carmatec decided to launch its brand ‘Carmatec Qatar’ which was targeted to dedicatedly cater to the Qatar-based audience. Under this brand, several major projects from renowned Qatar-based companies and SMEs alike have been successfully undertaken so far. While exceling in software and web application development, the next stepping stone was to establish a Mobile Application Development centre. 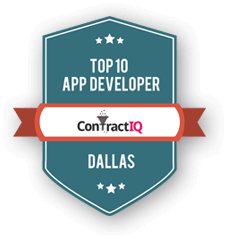 2013 was the year, when we started with a small team of mobile development engineers, visionary project managers and strategist to build the first mobile application which helped us expand our portfolio of services offered further. With our full-stack offerings, covering the hardware platforms at the Operating system level along with our applications and the analytics offerings, we were able to make the business remarkably successful by this time. 2012 was the turning point in Carmatec’s journey when the revenue touched the US$1M mark for the first time ever. After that, there was no looking back for us as a growth-driven customer-centric organization. Using the SoLoMo (Social, Local & Mobile) to realise our mantra of ‘Data anywhere anytime’, now we did not only integrate the software solutions to create meaningful data but we also started offering 360-degree Digital Marketing Solutions – in the year 2010, to help businesses connect with their customers more meaningfully using more relevant data. In 2008, Carmatec started its first data automation project by initiating the software development division of Carmatec with the brand name RailsCarma. This paved way for us to undertake various projects from hardware integration to SaaS apps, Social networks, big data and AI systems, integrating many popular APIs. 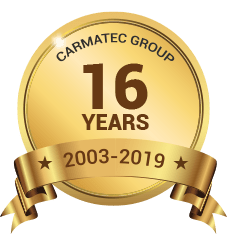 2004 marked the year when Carmatec established its identity mainly as a provider of development and design services for web applications while launching its brand, InstaCarma, under which it imparted technical support services to global data centres and hosting companies. Started in 2003 as a provider of technical support services to data centres and hosting companies across the globe, Carmatec offered remote NOC services, supporting many flavours of Linux and windows systems, open source apps and virtualization.